The prospect that a national rating firm might downgrade Florida insurance companies because of rising costs linked to assignment of benefits agreements has lit a fire under advocates of reforming those contracts. “This issue is having a real effect on the pocketbooks of working Floridians and it’s time we take steps to clean up the process,” state Rep. Ben Diamond said in a written statement Wednesday. “Homeowners deserve a real, consumer-driven solution that ensures that legitimate claims are paid while putting a stop to the bad actors who are driving up the cost of property insurance for all Floridians,” the St. Peterburg Democrat said. He pointed to a report in the Miami Herald that Demotech Inc. was about to downgrade as many of 15 of the 57 Florida insurers it rates from “A” to “B” on financial stability. The move could put mortgages at risk for thousand of homeowner because Fannie Mae and Freddie Mac require “A” ratings on insurance carried by its borrowers, the Herald reported. Diamond sits on the Civil Justice & Claims Subcommittee, which is debating restricting the ability to use AOBs to file lawsuits against insurers to policyholders, as opposed to contractors to whom they might assign insurance benefits. Insurance Commissioner David Altmaier has endorsed this approach. 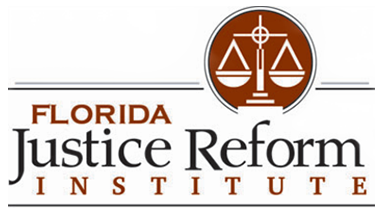 Earlier this week, the Florida Justice Reform Institute issued a report finding that the number of AOB-related lawsuits grew by nearly 300 percent between 2010 and 2016, and comprised 54 percent of all lawsuits filed last year. The Consumer Protection Coalition, representing the Florida Chamber of Commerce, insurance companies, and other business interests, pointed to the institute’s report to underline the need for reform. “For most Floridians, their home is their biggest investment. But AOB fraud and abuse – and the high insurance rate increases it is causing – is quickly making home ownership more expensive for many working families,” coalition spokeswoman Carolyn Johnson said. That law allows policyholders to sue their insurers without winding up liable for defense attorney fees, but contractors with AOBs have also used it. “It is imperative that we work to address the cost-drivers plaguing the system head on this session so hardworking Floridians can have some relief. Now is the time to protect our Florida homeowners from AOB abuse,” said Logan McFaddin, of the Property Casualty Insurers Association of America. “Florida’s consumers are paying more while AOB abuse goes unchecked,” said Michael Carlson, president of the Personal Insurance Federation of Florida.